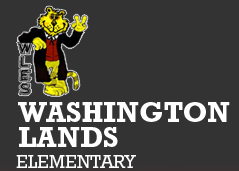 Welcome to the WLES 5th Grade news page! We will post information and dates as they come along. Thank you for visiting! Mrs. Healy & Mrs. Steed's 5th grade students working on their Project Lead The Way robotics designs. The students started by building a "chassis" model robot. They were given a real world problem to solve, and now they must modify their robot accordingly to complete a given task. We are imagining that there has been a nuclear power plant destroyed by a tsunami, and each group must design a robot that will be able to remove radioactive materials from the site. Each group must move 10 blocks within a 2 minute time frame. They must avoid "water" and stay within the confines on the layout.